Alt Thai News Network ATNN : US Attempting Regime Change in Malaysia: Fact or fiction? US Attempting Regime Change in Malaysia: Fact or fiction? 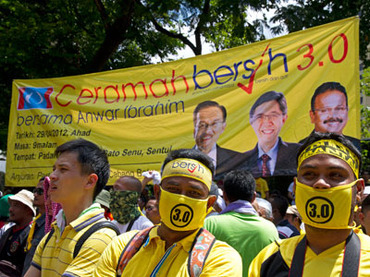 ­December 27, 2012 (RT - Nile Bowie) - As the South-East Asian nation of Malaysia prepares for general elections, distrust of the political opposition and accusations of foreign interference have been major talking points in the political frequencies emanating from Kuala Lumpur. ­The United Malays National Organization (UMNO) leads the country’s ruling coalition, Barisan Nasional, and has maintained power since Malaysian independence in 1957.